Learning to read Japanese can seem overwhelming at first. You’re suddenly bombarded by all these funky looking characters, new pronunciation, and crazy rules. However, learning to read Japanese is not an overcomplicated process, and with the right practice, can be completed successfully in a short time. The easiest way to learn to read Japanese is found through effort and practice. Japanese can be broken down into four different scripts. Each has its own specific purpose. There is hiragana, katakana, Romaji, and kanji. Those just starting to learn Japanese typically start off with Romaji. Romaji is Japanese written in the Roman alphabet. Hiragana and katakana are typically learned together. They are syllabaries. Each character in hiragana and katakana correspond to a full syllable. Kanji is considered the most difficult of them all. They are Chinese characters that link an idea. These symbols can have multiple meanings based on context. Romaji, hiragana, and katakana are always read in the same way. Context is very important to worry about when learning kanji, however, that is still a way to go. Coming from English, it’s recommended to start off with Romaji. Before you get started, it’s highly recommended to keep a language notebook. You can even keep more than one if you want. You want to constantly be adding new vocabulary, writing down questions, and reviewing your notes to keep your knowledge fresh. It’s a good idea to become familiar with the vowel system. The Japanese language has five vowels that more or less stay constant. In English, vowels can be contextual, however, in Japanese, they are as they appear. The sounds are a, i, u, e, and o. A good way on simplifying the Romaji system is to break it out into syllables. Being a metrical language, Japanese vowels are typically the same length. Not only will utilizing syllable breaks benefit your ability to understand new vocabulary, but it will also prepare you for your next steps on learning to read Japanese. Hiragana and katakana. You will find the consonant-vowel structure all the time in Japanese. Each time there’s a new C-V combination, it’s a different syllable. You want to also challenge yourself. A lot of Japanese pronunciation is very different from how we pronounce English and we need to practice our linguistic muscles in preparation. It’s also important to attune your ears to the sound and cadence of Japanese. By practicing difficult sounds, you improve your ability to sound more natural. Romaji, apart from Japanese vowels, is largely similar to English pronunciation. The only differences that can be found in Romaji are the use of double consonants, apostrophes, and the long bar. The long bar indicates an elongated vowel sound. This will sometimes be displayed as a double vowel (aa). Double consonants indicate a short pause when speaking. Apostrophes are used for syllable boundaries, usually around the “n” sound. After you become comfortable with Romaji, it is time to take on hiragana. Hiragana is crazy important. Even when you become completely fluent, you still end up using it every day. It is also incredibly useful when first learning the language. 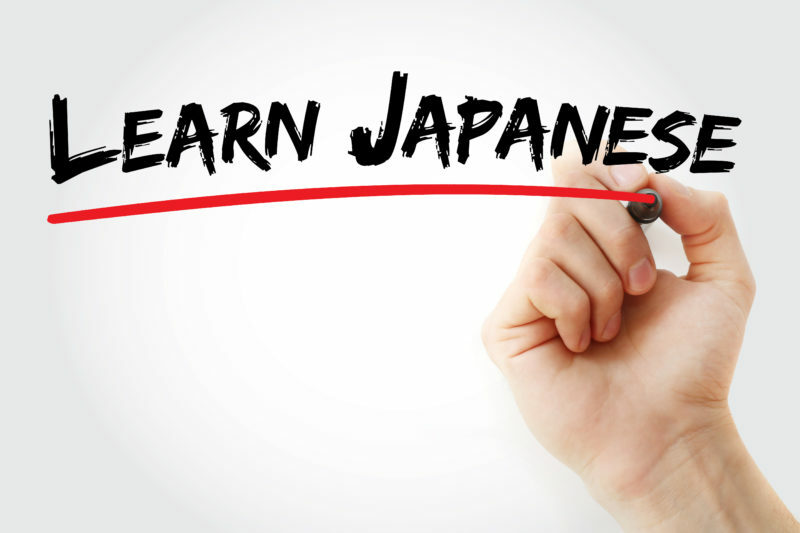 Knowing hiragana allows you to communicate with any Japanese-speaking individual. If you haven’t by now, you should definitely practice the nasal consonant groups. These include the “m” and “n” sounds. These are a little different than what we’re used to in English. For example, practice な(na)、に(ni)、ぬ(nu)、ね(ne)、の(no). Hiragana also makes it easy to differentiate consonant groups. Unvoiced characters (V-) are only made distinct from V+ (voiced) characters by a 〝 or ゜. For example, the above can change to za, ji, zu, ze, and zo. ざ(za)、じ(ji)、ず(zu)、ぜ(ze)、ぞ(zo). へ(he) Used represent direction when referring to movement. の(no) Used to indicate possession. に(ni) Used to indicate location, movement, time, and the indirect object. が(ga) Used to mark the subject. か(ka) This is used at the end of sentences to indicate a question. Now even though is written as ha, it is pronounced as “wa”. Particle rules can change but these are the general guidelines. You’ll want to memorize all the characters within the hiragana script. It might take some time, but, it’s significant to grasp this early on. Flashcards are a great aid. Another thing you can do to progress your Japanese reading ability is to read children’s books. Many children’s books are written in only hiragana, which makes it a great way for learners to improve their reading comprehension. After learning hiragana, it’s a good idea to take on katakana. Katakana is very similar to hiragana and involves similar groupings of consonant groups. They also use the same markings to differentiate unvoiced to voice. You’ll want to repeat the same process you used for hiragana in katakana. It is almost exactly the same, just written differently. Some symbols are even written close to the same. This might confuse you at first, but over time, you will master katakana just as you did hiragana. Just because it’s used less than hiragana, does not lessen its importance. Spend just as much time learning katakana as you did hiragana. This will aid you tremendously as you navigate onto kanji. The big one! Now there is no clear cut “easy” way to do this. Don’t be daunted. It is not impossible. Kanji will take a lot of practice and hard work. There are close to 2,000 characters that are used on a regular basis. Start off by learning the most common kanji. Also, learn related kanji. You will see these more often when you are reading Japanese text and the extra practice will embed the characters into your mind. You will want to place emphasis on learning the correct stroke order for writing and the on and kun readings. The on-yomi, or on, is the reading of kanji without any associated hiragana. These can consist of a grouping of consecutive kanji. The kun-yomi, or kun, is the reading of kanji with added hiragana. It is commonly used with words of Japanese origin and verbs. Don’t forget, just like with katakana and hiragana, you will want to practice your kanji as much as possible. Now, you may not feel this is the easiest way to learn to read Japanese, but it works well. The more you practice and get used to reading it, the faster you’ll master the language. Don’t be intimidated! Take it kanji by kanji and learning to read Japanese will come naturally.